[INTERNET] Have you ever been in a coffee shop or airport using the public Wi-Fi and wondered if the information on your device was safe? Computing outside your own network is fraught with risks. Whether you’re a target for hacking snoopers (which happens if the environment is un-encrypted); if other devices using the Wi-Fi are comprised; or if the hotspot itself is malicious. The worst part is … you won’t even know if you’re in dangerous waters. Maybe you think that if you’re just posting to social media, or watching a video, that there’s nothing to worry about. That’s not true. What you are connecting to is not the issue. We all use public Wi-Fi at one time or another. We hop-on our smart phones, laptops and tablets in places like restaurants, hotels and even book stores to connect to the Internet. Wherever you go these days you can tap into Wi-Fi … even at the gas station! And it’s easy! Wherever public Wi-Fi is available it pops up on your screen and in one click you can connect. There are advantages to this. Using a public connection can save on mobile data charges – especially when it comes to viewing things like video (which really racks-up data quickly) – so there’s certainly a reason for using it. However, with public Wi-Fi there is the ability for predators to hack into your computer. How do they do this? Simply put, Wi-Fi signals are radio waves. Anyone in a certain range can “listen” in and intercept your message if tuned to the right station. That’s why you want all of your web activity encrypted. This locks you into a “safe zone”. So if you really want to take advantage of being able to use public Wi-Fi, you may want to keep your transactions protected. 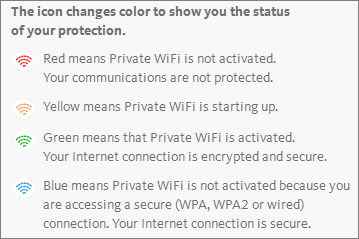 We found some very smart software that lets you use public Wi-Fi — while keeping your digital data safe, it’s called www.PrivateWiFi.com. PrivateWiFi is software that encrypts the data going out of your device (laptop, smartphone or tablet) and re-routes it through one of their secure servers — like the kind of systems banks use. This makes your data look like gibberish when intercepted by a cyber thief. It is compatible with your Windows, Apple iOS or Android devices. It works anywhere in the world. You can use it on multiple devices in one subscription. It activates automatically when it detects a public Wi-Fi. It keeps your digital information secure, even when you’re not thinking about it. To begin using this tool go to www.privatewifi.com and download the program to begin your subscription. It is software so it will install on your PC. Just follow the prompts to complete the setup process. Once installed, the PrivateWiFi icon will be in your task bar in the bottom right of your screen. It automatically activates and connects to an encrypted server whenever you access the Internet. However, if you want to change this status, right-click on the icon and click the Activate/Deactivate button. To set up PrivateWiFi on your smart phone, go to the home page of the website, enter your email address and you will be redirected to that device’s App center. (iTunes for Apple devices and Google Play for Android devices). After installed, just press the App icon to access the status and connection preferences. 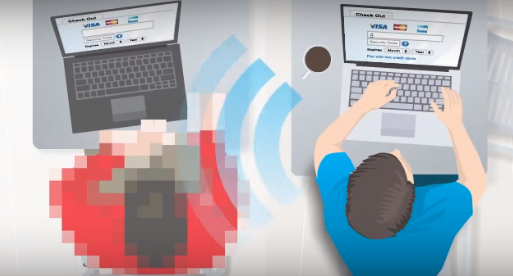 Now you’ll have peace of mind when you need to use public Wi-Fi! There are free ones too, such as Hotspot Shield, TunnelBear, Windscribe, CyberGhost, and Hola. Yes, as security issues become more and more important new tools are being developed all the time. Thanks for mentioning these!